Loveeeeeeeee this! 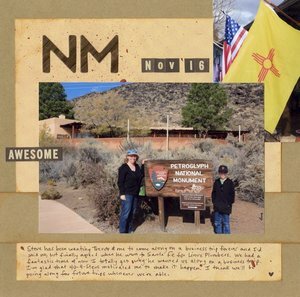 LOVING the colors and loving the large NM!!!!!! Going on a "business trip" sounds so boring, LOL, glad to hear it wasn't! Love the neutral colors of your layout w/ the pop of color from the photo w/ the flags! That's what I thought until we actually went along on one! Trevor and I visited all sorts of cool places while Steve was in meetings, then we were able to hang out together in the evenings and do more siteseeing. Glad you guys could tag along and explore another city. Awesome layout.